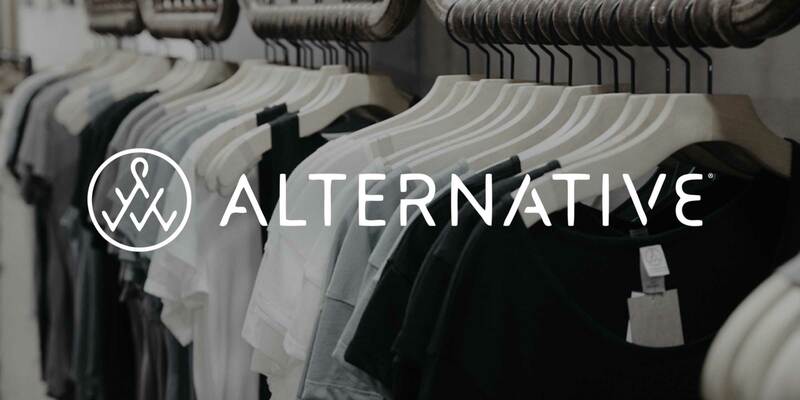 Welcome back to the second blog in our five-part series starring Alternative Apparel’s CEO, Evan Toporek! NuORDER’s CEO, Heath Wells, had the chance to (virtually) sit down with Evan and discuss sales strategy, how the retail industry is changing, inside sales as a big growth area, the importance of going digital, and strategies for successfully running an apparel brand. In our first blog post, Heath and Evan discuss sales planning, forecasting, tracking and growth in retail. In this blog post, they chat about what’s going on in retail today, how brands can deliver growth, and insight on trade shows. Heath: The retail landscape is changing. Everyone says to me retail is dead. Retail is not dead, retail is just changing. How do you deliver growth in this changing environment? Evan: There’s been a few things we’ve done. First of all, people assume retail is brick and mortar, but it’s not; a ton of retail has moved online. The online resellers we work with are partners that sell our brand online, and they’re having tremendous growth. Even the brick and mortars are doing well in their digital businesses. Then, there’s a whole new wave of businesses emerging. 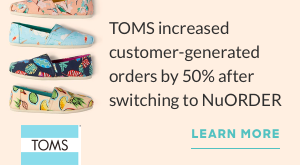 Subscription, for example: Stitch Fix, Birchbox, those guys. Stitch Fix has become one of our biggest customers in a very short amount of time. You really need to figure out how the end customer, the consumer, wants to buy, and in the wholesale market find the right partner to get there. H: Absolutely, and let’s dive into that. Talk to us a bit more about your wholesale strategy and what that looks like. E: From a wholesale perspective, we’ve also built a model where we stock and ship same-day to retailers, over 200 styles. We have really addressed the change in retail needs and how the whole pre-book market has changed. Retailers can’t see beyond a week, a month, certainly not six months, and they’re less likely to tie up their dollars a half a year in advance. We’ve built a model around shipping them great basics when they need it. Literally, they won’t miss business because we replenish to the piece when they need it, and then we sprinkle in a few seasonal colors. We stay in fashion from a monthly delivery standpoint, but we’ve become a better partner because we’re taking the inventory risk for the retailer. H: So, jumping into my next question. Trade shows is another hot topic that’s changing. I know we just came back from some of the Vegas Shows and I’m sure you’ve been to a number of others through the last few months. How do you see physical trade shows at the moment? Give me a sense on how that’s falling into your plan. E: Yes. I’ve personally never been a huge fan of the trade show experience, but I will say it’s still a hub for relationship building where you can meet with your vendors’ key management for your bigger accounts. And certainly from a regional perspective, it’s where you can write a lot of business. With your key accounts, you typically go back and have a separate meeting in New York or LA or wherever your offices are, but it’s the one place you can see everybody. I think Las Vegas, as an example, takes advantage of us all. It takes advantage of the buyer as well. There are too many shows. The expense of doing business there continues to skyrocket and there has to be a better way, but for right now, we just make sure we get the most out of it. We scrutinise who’s attending. We want everybody to be fully loaded, fully busy, and we make sure appointments are pre-booked on a counter before we show up. You just don’t set up and hope somebody stops by you in that period and you write business. There’s a lot of prep work that goes into it. And our booth design is very modular, very thoughtful so that we can use it. We’re in 42 shows a year. Some of them we bring a small booth and some we bring a big booth. It’s important to think that through when you design your booth so that it can be used in a variety of different ways. Want more insight from Heath and Evan? 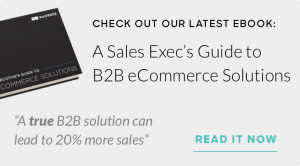 Check out next week’s blog post when they discuss inside sales as a big growth area.